BEST of the BEST Direct Oceanfront Studio Condo - Air Conditioned! Islander on the Beach Oceanfront! Air Conditioned! No resort fee! Stunning Oceanfront Paradise! 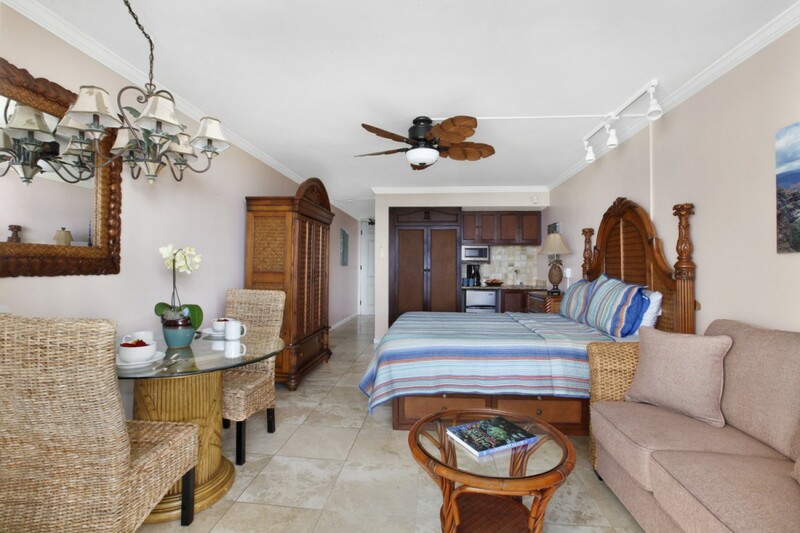 This Stunning Oceanfront Studio Condo at the Islander is located on the second floor. 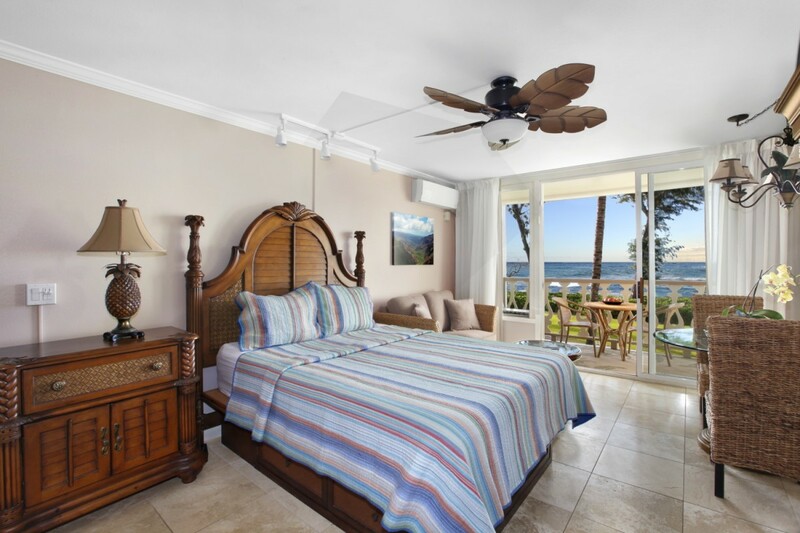 Truly Paradise with warm tropical breezes and oceanfront view. Listen to the ocean as the waves hit the beach! 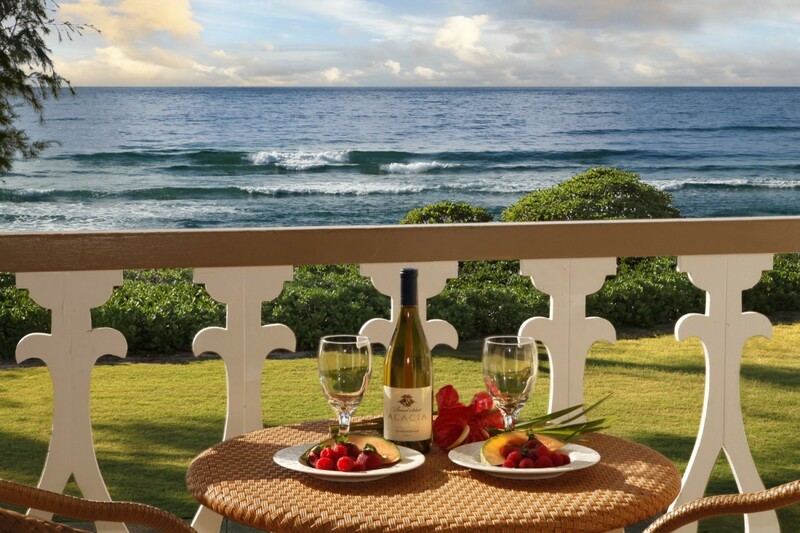 Wake up to beautiful watercolor sunrises, whale watching during whale season and romantic dining on the lanai with a 180 degree panoramic Oceanfront view! Ahh! 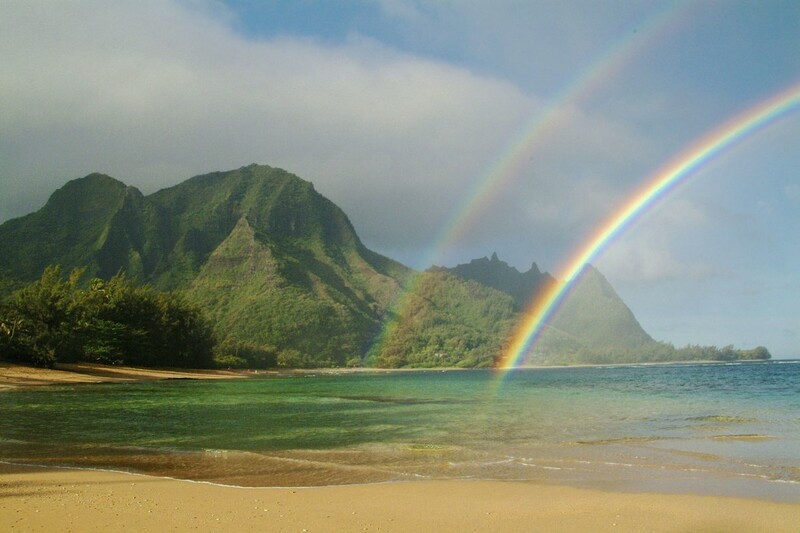 Kauai! 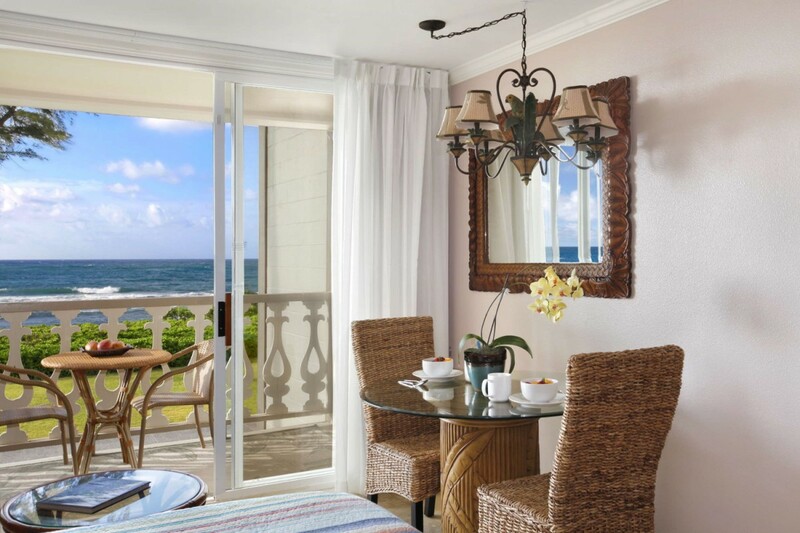 From inside your studio unit or sitting out on your private lanai you can watch whales migrate during the season, see the occasional monk seal visit the shoreline, and relax to the soothing sound of the sea just steps from your tropical home-away-from-home. 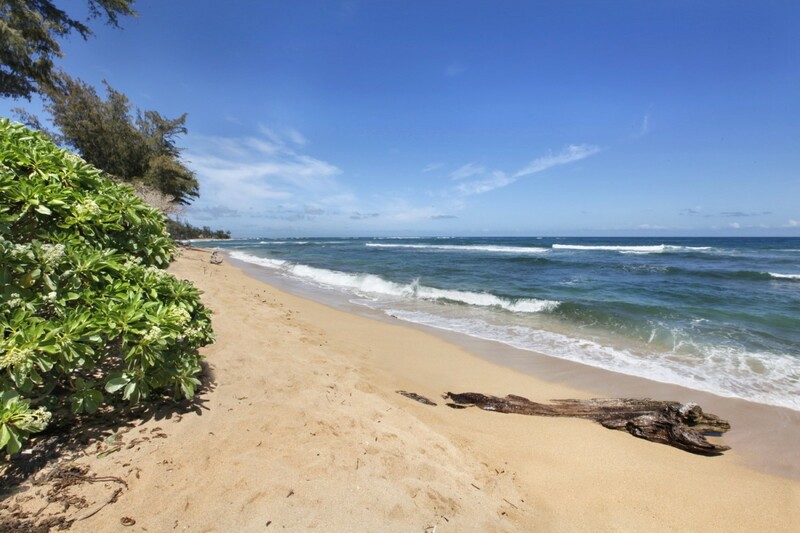 Islander on the Beach offers excellent studio options for accommodating 2-3 guests located in Kapaa, Kauai. This resort offers a great swimming pool with Jacuzzi as well as BBQ grills and a poolside bar. This complex is non-smoking. 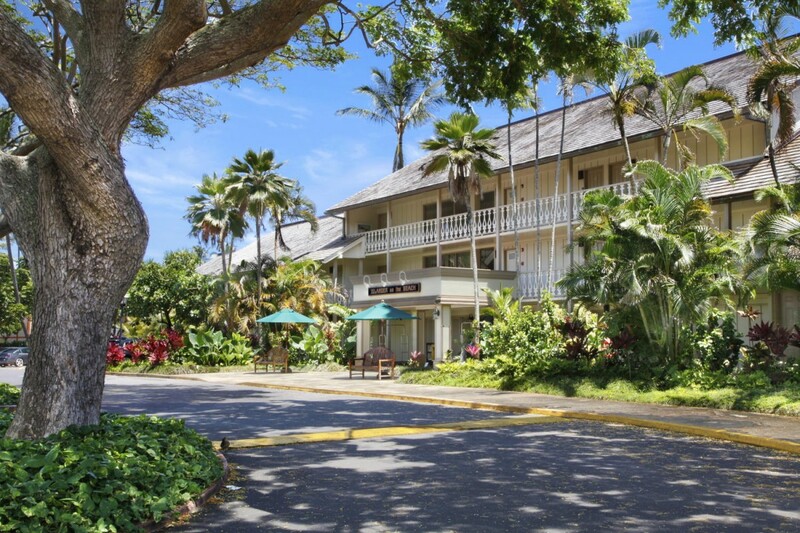 Centrally located on Kauai, this resort is only a 15 minute drive to and from the Lihue Airport. 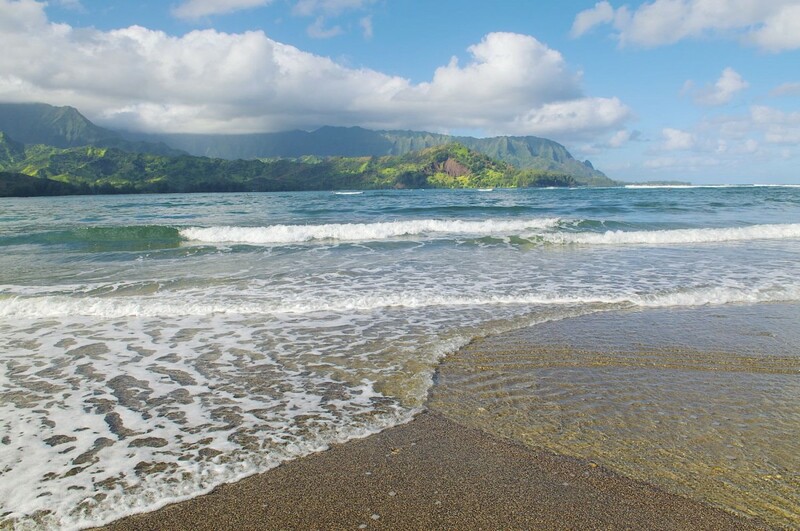 It's only a 45 minute drive to Hanalei Bay and 40 minutes to Poipu Beach. This complex is located behind the Coconut Marketplace, where there are shops and eateries for you to enjoy! There are several grocery stores within a 5 minute drive from the studio. Islander on the Beach Oceanfront Unit #246: This studio is great for Honeymooners, Couples, and parties up to 2! Newly renovated with Tommy Bahama style furniture, travertine flooring and granite countertops, this studio is newly decorated with beautiful scenic Kauai wall art. The Tommy Bahama queen bed has a memory foam mattress for your comfort. Linens and toweling provided. There is a new 50" flat panel TV in the studio. And Air Conditioning! The bathroom has a shower and bath tub. The kitchenette is equipped with a small refrigerator with a freezer section, microwave, coffee maker, and tableware. Note: This condo is not part of the Aston Hotel, meaning there is no resort fee associated. Daily housekeeping is NOT provided, and guests are not able to use the on-site laundry facilities. 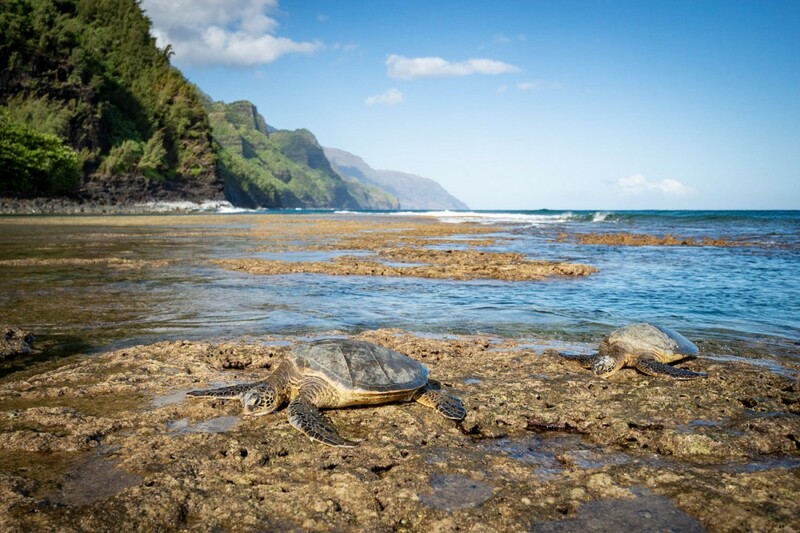 You can purchase a mid-stay clean from our cleaners for a sheet change and towel exhange for $52.36 or you can use the laundromat in Kapaa only about a quarter of a mile away! Please contact me with information regarding Islander on the Beach 246. We had a great stay! The views from the unit were fabulous and we loved sitting on the balcony watching the ocean. The condo was a great base for exploring the island. Cant wait to come back someday! Celebrated our 50th anniversary here and couldn’t have been in a nicer place, convenient to everything, clean, and the views from the lanai were stunning being right on the ocean!! It was hot and humid during our stay so we were very appreciative of the A/C unit. We used the beach umbrella and chairs, cooked on the grill by the pool, and wished we could stay forever in such a beautiful place. We’d highly recommend this condo to anyone vacationing in Kauai! Beautiful condo. Breath taking views. Convenient shopping and eateries within walking distance. Very relaxing and peaceful. 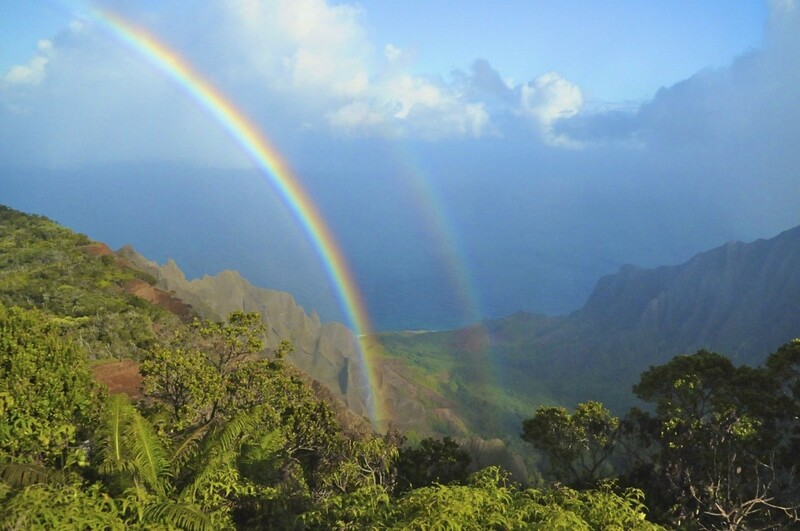 We had a wonderful time at your home in Kauai. Everything was in walking distance. Close to pool, and listening to the sound of the ocean will never get old. Beach chairs and cooler were provided, as well as beach towels. We had everything we needed and more! Would definitely stay here again! Mahalo. 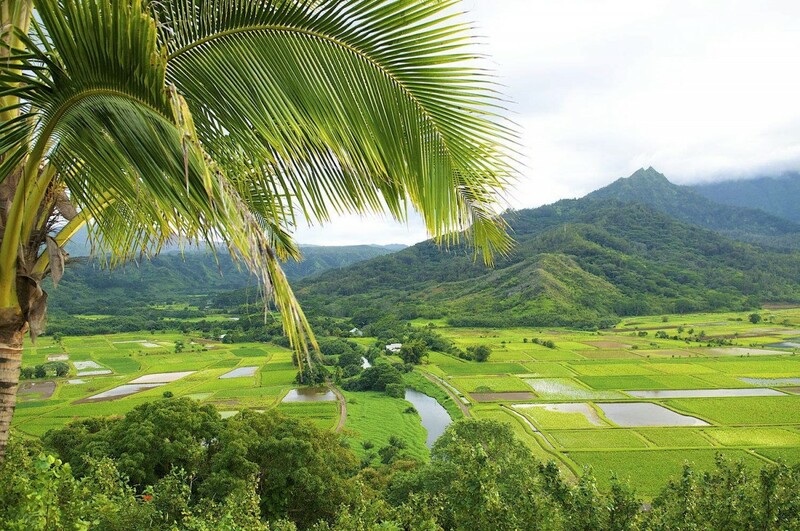 What a perfect location to have a vacation in Kapa'a! 5 STARS! We enjoyed our morning coffee looking out to the waves . The pool and grill amenities were close by. Along with the pretty market a few steps away . Very Nice Place! 5 STARDS! It was clean and had a million dollar view. We look forward to returning again one day. "All good, I will be coming back!!" 5 STARS! Better than we Expected! 5 STARS! Ocean Front Gem! 5 STARS! Had an amazing extended time in this gorgeous ocean front condo, it's a real gem!! The condo itself has everything one needs for a relaxing vacation: beach chairs, ice chest, fridge with freezer :)! this condo is so close to the ocean you can fall asleep to the sound and it's also a short walk to the warm pool :)! It's walking distance to a great beach out front to swim w/ plenty of space to relax. And it's walking distance to the Lava Lava Beach club, my friends and I loved the hula and drinks here!! Mahalo to Candace and the Kauai Calls team for a great stay!! I loved this complex and condo! I'll be back, Aloha! Location was perfect. Walking distance to shopping but best of all, 30 steps to the water. Loved the pool and bar. The condo was so cozy and inviting, old Hawaiian welcoming feel. Reasonably priced for beachfront. We'll be back.